On-site mobile device data extraction is now a reality with Select Fabricators’ Shielded USB Forensic Pouch. More affordable than lab based ridged metal enclosures, SELECT’s Shielded USB Forensic Pouch allows for hands-on manipulation of wireless devices in an RF tight environment, making sure internal data is not compromised from the moment of capture. The see-through soft material window and USB 2.0 connection allow device manipulation and extraction in the field. The filtered connection can also charge the device on-site without removing it from the forensic bag. There is no need to take the captured device back to the laboratory to view the internal memory. The USB 2.0 connector provides fast and secure evidence collection. 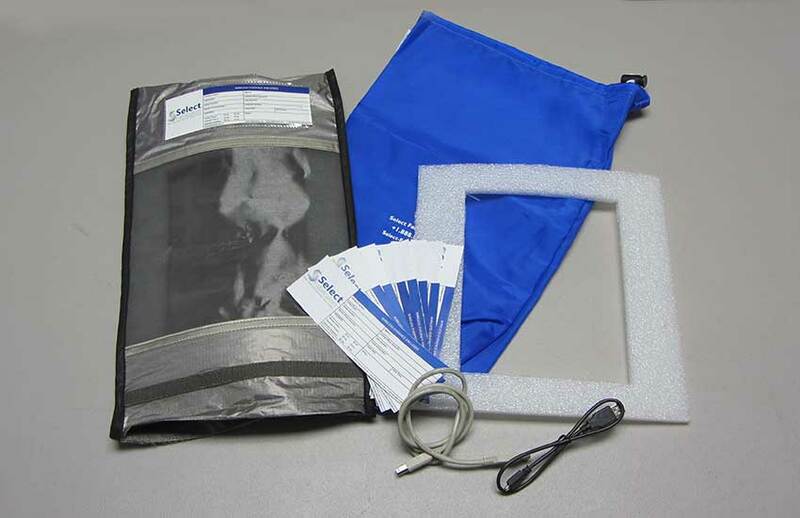 The USB Forensic Pouch or Faraday bag works with any portable electronic device that has capacitive sensing touch screens like smartphones, tablets, and GPS units, and connects to any forensic extraction device including HTCI, .XRY, Cellebrite, Paraben and more. The USB Forensic Pouch is manufactured in the USA with SELECT’s proprietary silver/copper/nickel fabric. This conductive, flexible material is the same fabric used over the past decade to make room sized to table top RF shielded enclosures. The pouch has been tested and yields better than –80 dB RF isolation from 500 MHz to 6.0 GHz.